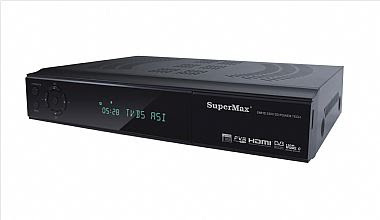 Fully DVB-S/DVB-S2 compliant, Full HD support. Video Decoding: MPEG-4/H.264, MP@ML, MP@HL, MP@4.1, HP@L4.1, XVID, DIVX(XVID & DIVX need license). Optional 2 * card Reader with CONAX CAS7 embedded. S/PDIF interface(Coaxial/Optical)for Dolby bit stream out. DISEqc 1.0,1.1,1.2 and 1 universals. Smart LAN 10/100 Mbps Ethernet supports. 2 * USB2.0 high-speed support. Booting time less than 50 seconds. Stores up to 6000 TV & radio services. PVR function support, recording and time shift. Youtube, Weather Forecast, RSS… support. Multiple-language subtitle(Teletext and DVB subtitle supported). Electronic Program Guide(EPG) supported(7 Days). Teletext support by VBI & OSD. Electronic program Guide(EPG)for on screen channel information. Software upgrade via USB 2.0, Rs232, Http, FTP. Picture in Graphic (PIG) function support. Parental Control: Channel Lock/ Install Lock. Timer (Timer reservations, automatically switch to a specific channel) & Sleep Function support. Support HD, SD output simultaneously.